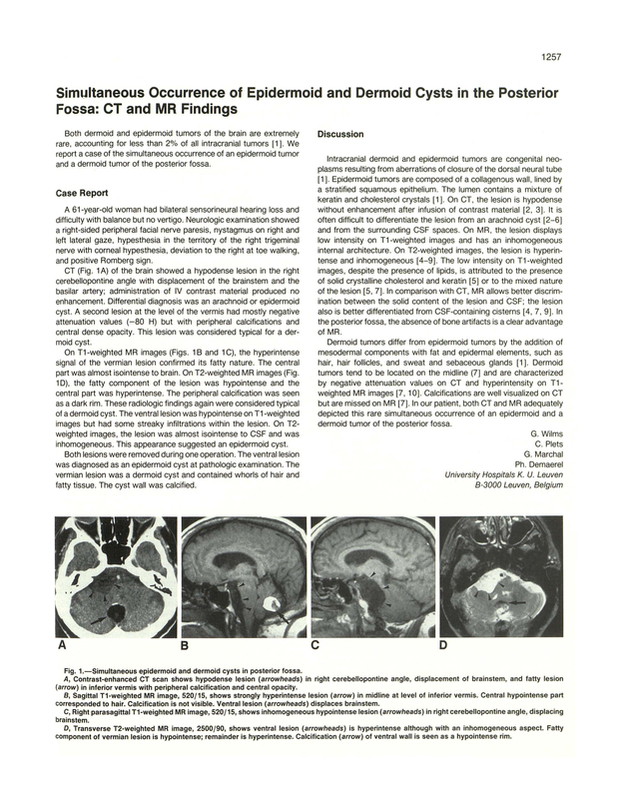 Simultaneous occurrence of epidermoid and dermoid cysts in the posterior fossa: CT and MR findings. University Hospitals K.U. Leuven, Belgium. You are going to email the following Simultaneous occurrence of epidermoid and dermoid cysts in the posterior fossa: CT and MR findings.